“In vino veritas” has become a common phrase to hear around the world of wine, regularly uttered in casual conversation by its millions of eager consumers. The idea that there is truth in wine can be read as poetry by some, while others may take it simply to mean that imbibing alcohol loosens the tongue a bit. But perhaps this ancient Latin coinage can mean different things to different people, and even to different wines. The Armenian people boast one of the oldest cultures in the world. From dance to cuisine to religion (they were among the very first people to adopt Christianity), Armenians are a storied, beautiful people with thousands of years of history and tradition marking them as unique. 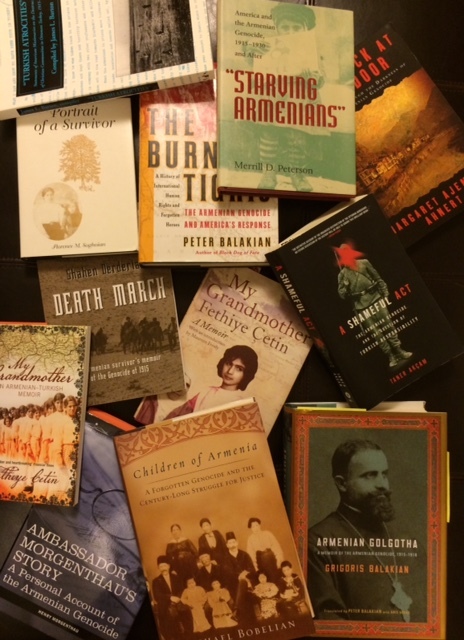 More recently, however, Armenia’s history has ben darkened by the indelible stain of genocide and, subsequently, denial. During the First World War (1914-1918), the government of the Ottoman Empire, which had allied itself to Germany and the other Central Powers, instituted a brutal policy of annihilation toward the millions of Armenian people who had, up to that point, possessed a sort of second-class citizenship in the empire. 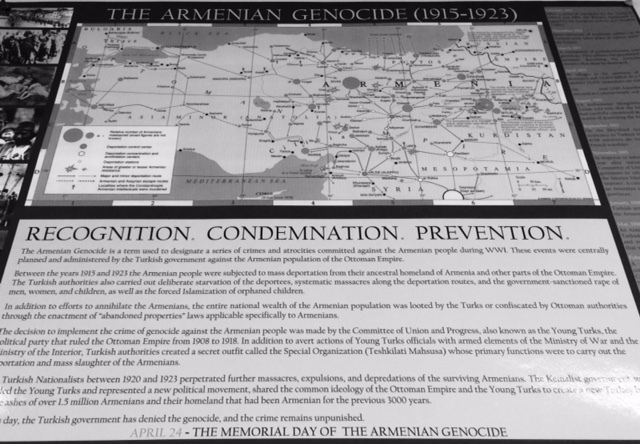 Rapidly, however, millions of Armenians including the elderly, women, and children, were displaced from their homes and subjected to brutal treatment including beatings, executions, death marches through dessert terrain and more. 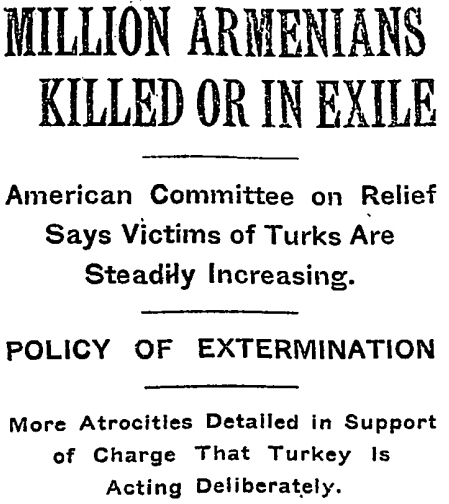 By the end, one and a half million Armenians would be slain. That this event is an historically document fact and not a matter up for debate seems to have escaped the modern state of Turkey, the remnant of the once-proud Ottoman Empire, and today the Turkish government clownishly denies that any such event ever happened. In spite of the mountains of evidence, including the writing of survivors, eyewitness testimony, and the work of countless historians, there remain those who, as a matter of politics and pride, dishonestly pretend to believe that this slaughter never took place. It is quite comparable to Holocaust denial in many ways. Just as if not more sinisterly than Turkey’s stance, however, the United States government has made itself complicit in this grand lie, refusing to formally acknowledge the genocide and blocking all attempts to do so a the highest levels for fear that Turkey, sharing borders with Iraq, Iran and Syria, would force our removal from their strategically placed military bases. All this context flooded my mind as I shared a bottle of Armenia’s Karasi, a beautifully crafted, bold red wine, with a few people one rainy afternoon. 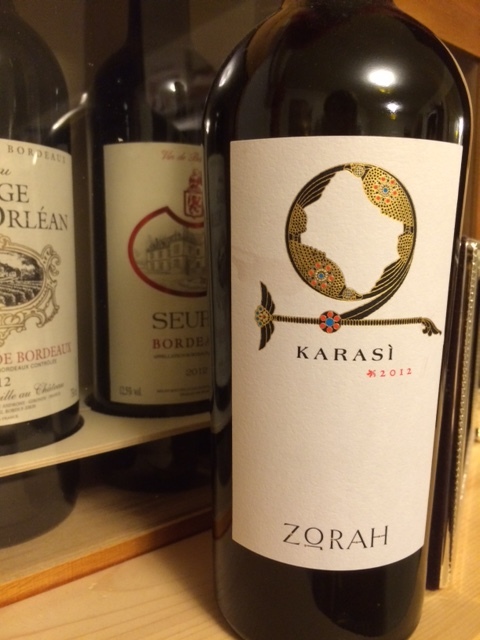 The label itself mentions that the wine is made in the shadow of Mount Ararat, a place of great cultural and religious significance to Armenians. 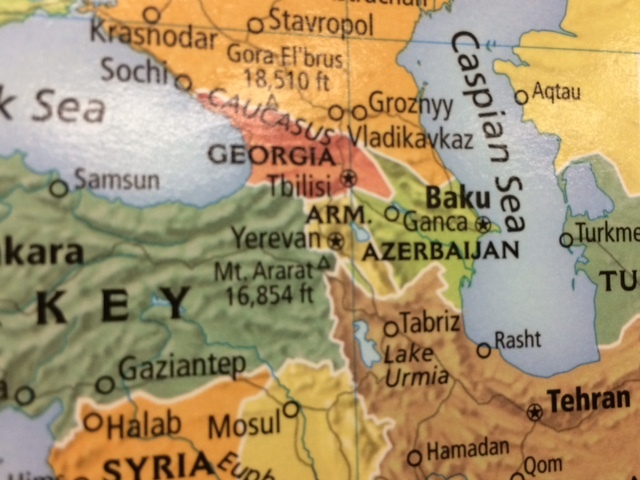 It does not mention that Mount Ararat today sits just over the Armenian border in Turkey, part of a land grab in the early 1920’s that left Armenia without ports, without agricultural lands, and surrounded by enemies on all sides. Wine is so rarely just about fermented grape juice. Rather, wine is an experience, a glue that binds societies — wine is the history of an ancient world. Wine is culture and heritage, wine is tradition, economy, celebration and so much more. It is easy to lose sigh of such things when enjoying a glass over dinner, or sharing a bottle with friends, but the truth will always remain that the wine you are drinking represents far more than merely something to imbibe. It is an art form as ancient as the Latin language, and if you take a little time, you will almost always uncover the truth within the bottle. For this reason, perhaps I was even more taken with the Armenian wine that I might otherwise have been. Yet sadly, in the case of Armenia, there may be excellent vino, but as of yet, still no veritas. I still have a bottle sitting in my wine rack waiting to be opened and shared!